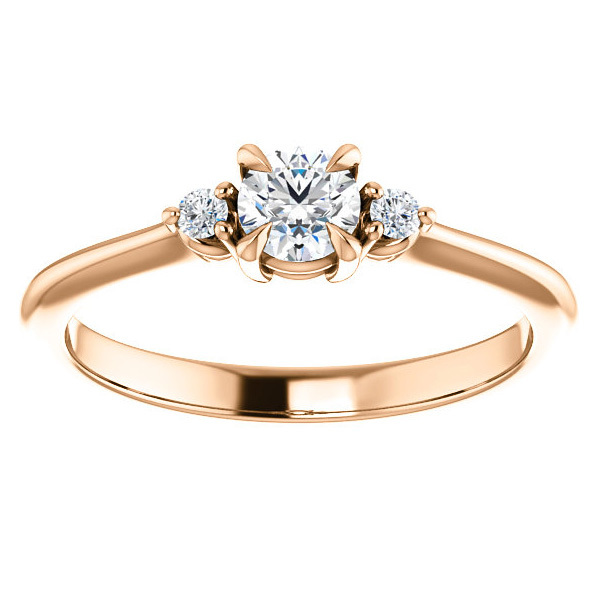 A stunningly beautiful 14k rose gold diamond engagement ring totaling 0.30 carats of quality, white, genuine diamonds, from Apples of Gold Jewelry, set with designer, unique claw-prong settings that sets this ring apart from others. The diamond center stone is 0.25 carats (1/4 carat) with two 0.025 carat diamonds on each side of the ring's setting. The diamond quality is available from G-H Color, SI2 Clarity (any diamond quality available by request). 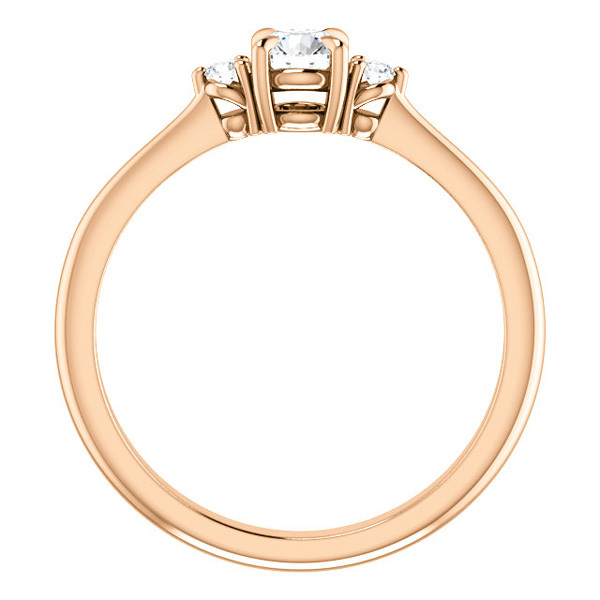 The ring's band measures 2.4mm wide and has a top setting height of 4.26mm. As this engagement ring is made to order, please allow approx. 2 weeks before shipping. Made and handset in the U.S.A.! Also available with 1/2 carat, 3/4 carat or 1 full carat center stone. 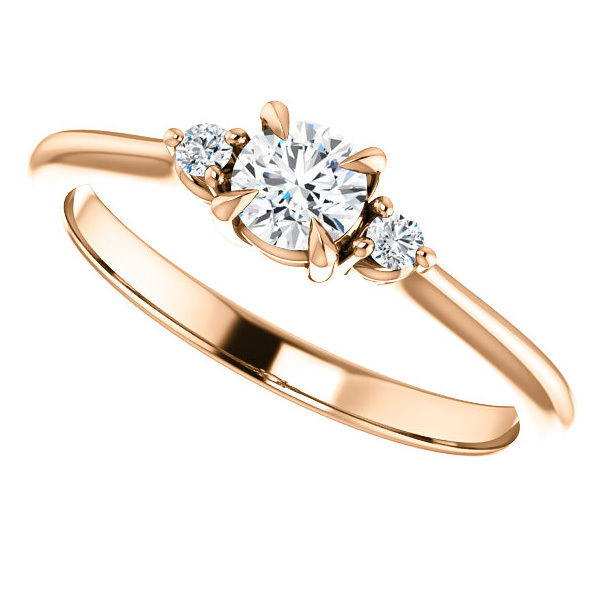 Do you prefer white gold or yellow gold instead or even 18k or platinum? Simply contact us. We have it available by request! 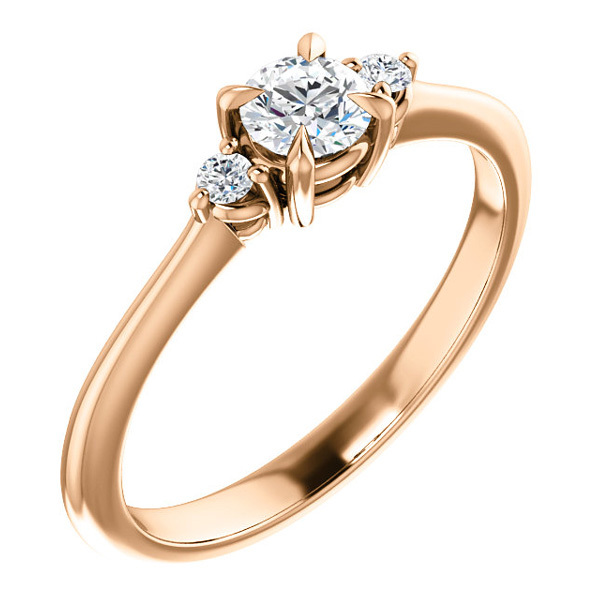 Apples of Gold Jewelry guarantees the 0.30 Carat 14K Rose Gold Claw-Prong 3-Stone Diamond Engagement Ring to be of high quality and an authentic engagement ring with real diamonds, as described above.